Lions and tigers and bears...oh my! If your child has a birthday coming up, why not throw a Jungle Theme Party for him or her? What child doesn't love all the furry fun animals of the jungle? Planning a Jungle Theme party can get wild and wooly. It's a jungle out there with all the details to attend to but we have mapped out the expedition to make your journey a wonderful adventure. You don't have to hunt around to plan your big day. We have a safari of Jungle Theme Party ideas. From the invitations, to the decorations and party favors, we have tamed the beast so you can relax and enjoy the big day. My nephew recently had a Jungle Theme Party so we have a trunk full of innovative ideas and plenty of tails to tell. In fact, that's our family behind the masks in the photo. Kim is the bunny, by the way! So grab a limb and swing on over to the section of your choice to learn more. Or, better yet, check it all out, head to toe, or head to "paw" if you will. Here are some sets available in the Jungle Theme Party. Some offer really good bargains on shipping. You may find you actually save money by purchasing the entire set. There's rumble in the jungle about a Jungle Theme Party! Get the word out with a roar by purchasing invitations that match your choice of Jungle Theme Partys. Of course, you can also opt to make your own and we have great suggestions down those lions too! To get started, make a list of guests you want to invite. Then you will want to choose a location, date and time. Include those details on the invitations but I like to also add the time the party will end, any instructions such as "please wear play clothes", "dress like the jungle animal of your choice", or whatever fits your individual Jungle Theme Party. RSVP is a nice addition as well. Include the physical address as well as a map and your phone number. I learned the hard way that it's a good idea to state the date and the day so no one gets mixed up. Once you have filled in the details of the Jungle Theme Party, slip in a little confetti and place in the envelope. Seal and add some fun Jungle Theme Party stickers. You can often find animal stamps that will go right along with the theme. Mail out with plenty of time to spare. Here are some grrrreat invitations. You can get the fill in the blank type, order with your information on the them or even purchase personalized invitations. For those who want to do-it-yourself, here are some other fun ideas. This is a very simple but really cute idea. Purchase sheets of animal print scrapbook paper. Keep in mind that each sheet should make two cards. You can often find fuzzy animal print paper for a wild flair! Cut the invitations. I like to use designed edged scissors. Cut out the shape of the corresponding animal such as a zebra if you use zebra stripes, a tiger for tiger paper and so on. "Come have a roaring time at Caden's Birthday Party!" Make sure to include all the details such as time, date and day, and the location. You can add some confetti and a Jungle Theme Party balloon inside too! Don't forget the thank-you cards! I like to slip in a picture that I have snapped during the party of each child in his or her card for a personal touch. When it comes to decorating, it's a jungle out there! We don't monkey around. Let us guide you through so you don't get lost and eaten by the savage beasts. A little organization and some of our grrrreat ideas coupled with your own creative touch is all you need. First off, welcome the guests with a yard sign or banner, or both! You can even purchase pesonalized ones. This not only greets them but marks the spot of your party, something the neighbors might appreciate. Just go wild! If it's jungle, and screams of monkey business...use it! Whether your party is at the house, at the park, or in the backyard, you can create a jungle scene. Wall murals add instant decor and create a wild side. If you prefer to make your own, simply cut out pictures from wildlife magazines and glue onto a poster board and cut out. You can purchase inexpensive posters as well to pin up. Lifesize animal standees bring the jungle to life like this stalking tiger. A few palm tress make the jungle scene even more realistic. Shindigz has a forest full of trees rangoing in size, type and price. One is sure to fit your fancy! Don't forget to scatter about some coconuts for a real festive flair. Click here for instructions for our paper mache coconuts. If you want to make your own palm tree, you will need green construction paper, cardboard tubes, brown paper, a brown marker and scissors, tape and glue. Put cardboard tubes together to make the trunk of the palm tree. To do so, connect them end to end then tape the ends together. Cut pieces of brown paper so they are wide enough to wrap around the tubes with the edges overlapping slightly. Wrap the pieces and tape. Use a brown marker to draw rings around the paper to make it look like a palm tree trunk. Cut large leaf shapes from green construction paper. Fold the leaves in half lengthwise then unfold them for a more authentic effect. Tape the ends of the leaves to the top of the cardboard trunk, so that one leaf sticks out to the front, one to the back and one to each side. Add more leaves if desired. Gather up all the stuffed animals and toys you can find to set around in corners, on tables and in chairs. If you have a stuffed monkey, you can hang him from a standee tree or even a chandeliers. If you have a waterfall of any kind, set it up on a table with some jungle animal toys or figurines. If you don't have one, you can purchase a tabletop water fountain fairly inexpensively and keep it for relaxation throughout the year. You can add a few small palm trees around the area too. Balloons are a must for every party and you can never have too many so group them in bunches, use them for balloon bouquets for the tables, tie them to the chairs, hang them from the ceilings and stagger them all around the room. balloons too! You can do like we did and mix solids and animal print helium filled latex balloons with Jungle Theme Party mylars for a fun mix and match effect. Streamers are fun to drape about the room. You can go from corner to corner or corner to ceiling. We hung Jungle animal bean bags from the ceiling. During game time, we let each child pick one as a prize for participating and being a good sport. Photo props, like a safari jeep from Birthday Express, can serve a herd of purposes. They not only add grrrreat decor to the party area, they offer a nice setting for photos you can take and send as a nice personal touch with the thank-you cards. You can also be used at craft time. Even the monkeys will enjoy hangoing out at your party. We hung these cute little primates from ceiling fans and drapery rods. They are even more adorable when you add some mini bananas to the de-tail. If you don't want to use real ones, you can dangle some banana balloons from the scene. Decorated tables make the room roar with atmosphere and are a great place to tie add more Jungle Theme de-tail. Tables can serve for utility as well as just for decoration. I like to use as many tables as I can fit in! As you can see in the photo, we used one table for the Jungle Animal masks we had for each guest to wear. We also put animal inflatables on the table and some fun squirt toys for the children. Start each table with a Jungle Theme Party tablecover or a color coordinated solid if you prefer. In addition to what you want the table used for, you will probably want a centerpiece on each table. You can purchase a centerpiece or make your own with a little imagination. Of course one table can be used for the cake and all that it en-tails. Once you have placed the cake on the table, you can arrange your Jungle Theme Party plates, napkins and eating utensils. Your cake can be the centerpiece or you can opt for an additional focal point such as something with heigth, like a helium balloon bouquet. If you want, you can scatter about Jungle Animal toys, confetti or even little Jungle Animal novelty candies like these suckers. Beverages can be on the same table as the cake or you can do like I do and set up a table just for drinks. We had our punch in a fun punch bowl on the table with a Jungle Theme Party centerpiece then fun coconut cups and Jungle Theme Party beverage napkins. We covered a tin bucket in animal print for a cool ice container. A table can be decorated and used for gifts and you can also decorate a table for the guests to sit at. When it comes to tables, in my opinion, they are like balloons...just go bananas because you can never have too many. Light up the jungle with these animal print lanterns. When you have the sights of the jungle all in place, it's time to add the sounds. Play a CD in the background like Animals Of Africa Sounds Of The Jungle in the background and let the safari begin! Check out this Jungle Theme Party cake my sister made for my nephew! Scroll on down to find out how she did it. We all know the cake is the mane attraction as far as kids are concerned so make sure yours is grrrrrrrreat. You can order from a bakery or boutique or pick one up at the grocery store, or you can make your own. If you are up to baking your own cake, we will help you map out your expedition. For those who are stretched for time, a cake topper is a smart choice and they are so cute and easy. Simply bake a cake with our basic cake recipe or use your own favorite then frost and top with a cake topper. You can also bake and frost a cake and make a scene atop to set these cute animal toppers on. This cake decal is ideal for Moms on the go. Bake, frost and place the edible decal on for a roaring sweet treat! Picture this...your birthday boy or girl's photo in this Jungle Pals Cake Photo Topper. This book has some really grrrreat ideas for creative jungle animal cakes. You'll find a herd of jungle animals to choose from for a sweet and fun cake that won't cost a lot of dough. And the best thing is that you can use this book for years to come. To make Linda's Jungle Cake as seen in the photo, bake three round cakes in small, medium and large. When the cake is cool, invert. Cover the three cakes with white fondant that you have rolled out. Form round balls in fondant that is colored to coordinate with your Jungle Theme Party decor. Our colors were orange, blue, yellow and green. Then make balls but flatten them or use a small circle cutter like a mini biscuit cutter. Do these in the same colors as the balls. Make the birthday child's name out of fondant in the same colors. Place the fondant items on the cake. Also make green foilage to go around the cake as shown and place on cake. Make a number for the cake, however old the child is turning. Add cake topper or toy animals and a small plastic tree on top. Also add a candle if desired. Enjoy! Jungle Theme Party candles are hot! Light up your cake with a set. Cup cakes are fun to make and neat to eat so be sure to bake up a batch for your party. Tame the tiger! Make up some really awesome cup cakes quickly. Just bake and frost and set a Jungle Theme Party one sugar shape on the top of each one. Or, stick in a cupcake pick if you had rather. I like the idea of placing a Jungle Safari Animal Finger Puppet on each one so the children can have a toy to take home as icing on the cake, or "cup cake" I should say. These cup cake wraps spice up even the most boring little cup cake. For those who are really stretched for time, you can pick up a dozen or so cup cakes at the grocery store and quickly wrap these around them for a cute and fun treat that looks like you really stuck your neck out! The kids will work up an elephant sized thirst with all the fun they will be having so fill their trunks with our Jungle Juice and other fun Jungle Theme Party drinks. This juice is way fun but we cannot stress enough the importance of keeping the children away from the dry ice. It is dangerous when touched or swallowed so never leave the children unattended and make sure none of the dry ice gets into the cups. It is to remain in the punch bowl only! Mix all of the ingredients together and chill. Pour into a punch bowl then add the dry ice just before serving for a steamy cool Jungle brew. You can put the dry ice in cheese cloth to keep it separated and float some plastic alligator toys in the punch that's a lot of croc! Mix and serve immediately in a clear punch bowl. Add ice ring. In a gelatin mold bowl or bundt cake pan, fill the very bottom with water and freeze until hard. Add animal fruit snack candies and fill with more water to desired thickness and freeze until ready to serve. These koozies are perfect for canned drinks such as Gatorade. Combine all the ingredients in a blender until smooth and serve immediately in monkey sipper cups. Here are some of our favorite Jungle Theme Party cups and you are sure to find them in the individual Jungle Theme Party of your choice as well. Please feed the animals...and the guests! When the children are hungry as hippos, feed them in true safari style with our tried and true snack attack ideas and main dish recipes. Especially if your party falls at mealtime, you will want to have a beast of a feast. Here are some tasty suggestions. Mix all the ingredients (except the sauce) together and press into a round pan and then in two cupcake tins. Since you will not be using the other cup cake compartments, it is a good idea to put water in the empty ones. Bake at 400 for about 30 mins. then mix together and add the sauce and bake another 10 or so. The length of time will depend on the size of the pans so you might keep an eye out for when they get browned. Whip a batch of mashed potatoes. Save back a tablespoon of the plain white pototoes and then add enough shredded cheddar cheese to make the color orange. Invert the meatloaf out of the pans and make a lion, the cake pan meatloaf being the face and the cup cake meatloaves will be the ears. "Frost" with the mashed potatoes. Make whiskers with black toothpicks and outline a nose and mouth with decorator icing gel. Use the plain potatoe mix to make eyes and dot with the black icing gel. Sprinkle shredded cheddar cheese to make a lion mane around the face. You can also insert stick pretzels all around the large circle meatloaf to add to the mane. I have even made it using cheetos to make the mane. Use your creativity and you will do grrrreat! This is another recipe straight from the kitchen of my niece, Carla. It's a family favorite and works perrrrr-fectly for this tiger theme main dish. Brown then drain hamburger meat. Add cream of mushroom soup and stir together. Let simmer on low heat for a few mins. Lightly brown the tater tots in the oven. Place half of the meat mixture in a round cake pan. I use a springform pan so it is easy to remove the casserole. Place a layer of tater tots and some of the cheese on top and then spoon the rest of the meat mixture on top. Arrange tater tots on the top. I actually crumble them a little. Sprinkle with a healthy layer of shredded cheese. Save back enough tater tots to go around the circumference of the round pan which will be the tiger's head. Place in oven on 350' and let the tater tots brown and the cheese melt. Once the casserole has cooled, set the pan on a serving surface such as a cookie sheet. This casserole is moist so a spring cake pan is best but if you do not use one, you might just leave the casserole in the pan. Chances are no one will even notice the pan. Make the lion's mane with an outline of tater tots and place on large googley eyes then make a mouth out of the pipe cleaner and glue on the nose. Place on the casserole. I served this with a large spatula that I attached a tiger tail to and used the extra tails for games later in the party. These fun sandwiches are sure to please even the most finiky eaters. Make sandwiches using the filling of your choice like chicken salad or peanut butter and jelly. Use Jungle Animals Cookie Cutters to make animals the kids will devour in no time. Chicken nuggets are a universal favorite so you can't go wrong with these tasty morsels. Brakebush and Tegel are two good brands. Serve them with dip such as Ranch or even ketchup. The little ones will enjoy these bite size mini meals. Simply make and fry a small hamburger patty for each guest plus of course, the guest of honor. When the burgers are almost finished cooking, add a slice of cheese to each. When they are cooled, stick some pretzel sticks around the circumference of each one to make a lion mane. Add green olive slices for eyes and thin red bell pepper slices for whiskers (three on each side). When the little monkeys get the munchies, give them a smile as well. Here are some of our family favorite innovative ideas that are simply zoo-licious! Look what we pulled out of our trunk! It's a family favorite snack that is easy to make and fun to eat. To make it, just cut out elephant ears from medium to thick sliced ham and a slightly larger ear for the cheese. Place ham over cheese and place next the the cracker. Cut two carrot slices for the eyes and put googley eyes on top but only if you are prepared to remove each one before the kids dig in. Otherwise, leve the googley eyes off. Serve the elephant crackers on a bright solid tray and watch them go! Banana chips are a nice, healthy treat for the kids. Serve them up in a banana dish and sit a stuffed monkey beside the dish for a fun festive flair. A fruit tray is perfect for any party but especially for a Jungle Theme party! Monkeys love bananas so be sure to include some slices on the tray. Kiwi slices along with pineapple and coconut cubes can be added for that African appetite. Cheese squares can be added too and don't forget the Jungle Fruit Dip! Cream together 1 large container of sour cream with one package of cream cheese and add one large can of crushed pineapple with the juice. Chill and serve! If you want to stick your neck out for a really wild snack, boil up some eggs. Cool and peel. On each egg you will make a face. Use a black icing gel pen for the eyes and wmall round cheese circles for the nose. You can use the icing pen to get the nose to stick on. Make giraffe ears out of cheddar cheese slices and lay on a serving tray. Position one egg on each set of ears. You can actually try sticking the ears on with the icing pen but the eggs are slick so that sometimes is difficult. Toothpicks are another option for attaching but do so only with an older group of children who wont try eating the toothpics. Not only will the kids love this yummy snack, parents will appreciate it too because it is good for the kids. Shhh, I wont tell if you don't! Cut seedless watermelon slices 3" thick. Make fun Jungle animal shapes using cookie cutters. Insert popsicle sticks and freeze on wax paper. Keep in freezer until ready to serve! In large saucepan melt butter over low heat. Add marshmallows and stir until completely melted. Remove from heat. Add Rice Krispies cereal. Stir until well coated. Butter your hands and roll into balls. Insert a lollypop or popsycle stick in each one. Use a decorator's icing bag with small to medium tip to make stripes with melted semi-sweet chocolates, melted. Clean the bag and tip and repeat, using melted white chocolate. Once the balls have dried, wrap in clear celophane wrap and tie with zebra print curling ribbon. Carefully stick the suckers into a piece of styrofoam. You can even spray paint the styrofoam black or red if you want to. Elephants are bananas over peanuts and your guests will be too when you serve them our chocolate covered bananas with peanuts on top. Insert popsycle sticks into peeled whole bananas then dip each one into melted semi-sweet chocolate or milk chocolate. Roll in gently crushed peanuts then stick into a square or round piece of styrofoam to set. You can serve from the styrofaom too! NOTE: BE SURE TO CHECK IF ANY OF THE CHILDREN HAVE PEANUT ALLERGIES. Mix up some of our Jello Jigglers and when they have set, cut out with Jungle animal cookie cutters. Kids love 'em! Pour into 13x9-inch pan. Refrigerate at least 3 hours or until firm. Dip bottome of pan into warm water to make it easier to lift Jello out. Cut with cookie cutters or these cool Jello animal shaped Jigglers Wigglers. Another fun way to prepare this magic jello is to pour into Nordic Ware Pro Cast Zoo Animal Muffin Pan (See all animal shaped muffin molds) and chill until set. When made this way, the jigglers will be thicker. My daughter and her husband made some great Jungle animal cookies by using fondant Bake up your favorite sugar or shortbread cookies then cover half with white fondant and half with orange fondant. Cut black stripes out of fondant for the white ones and use brown spots made from fondant for the orange ones. Watch these cookies go extinct in no time! Animal crackers are a must! You can find the classic ones in cute little individual size boxes at most grocery stores or purchase online. Tiger's Milk Bars are another fun and nutritional idea. We put them in Jungle Theme Party favor buckets and set them about on the snack table. Speaking of buckets, spread some jungle magic with these goodies we put in buckets and placed about the food table and other tables as well. You may want to order extras to fill the favor bags too! Personalized MY M&M's- Makes a great Jungle Theme Party favor! Love, love, love this dispenser! It adds decoration to the snack table and the kids have a blast getting the candies out. You can use plain M&M or order the personlized ones. The best thing is that you can use the dispenser over and over at all your parties. Imagine the children's faces when they see this Giant Gummy Bear! The object of playing Ice Breaker games is so the children can get to know one another so they are best played at the beginning of the party. Try some of these fun Jungle Theme Party ice breakers for some cool fun. Cut out pictures of Jungle animals from magazines or download and print some online. Put them all in a bucket like this safari theme pail. You can use the extra pails to put party favors in or to hold snacks. Let the children each take a turn picking a picture out of the bucket then acting like that animal. The other children can try to guess what animal it is. For older children, you can have them do so without talking or while standing on one foot or whatever creative touch you might want to add. This is an old classic game but it's lots of fun! Pair the children into groups of two. One player will be the "doer" first and will choose a jungle animal to act like with movements and sounds that the partner will try to imitate. Then the two will switch off roles. For this Ice Breaker, you will need a printout of a zebra for each child, crayons or markers and a list of questions that you have thought up before the party. I like to tell the "Zebra Stripe Story" before getting started. It goes like this: Once there was a zebra named Stripes who lived with a great herd of horses. Though he really liked the horses he lived with, he always felt different. Stripes had...stripes and the horses did not. One day, while grazing in the pasture, Stripes spotted a herd of zebras. He had never seen a zebra before but he quickly noticed that they were all...just like him. They ALL had stripes! Stripes no longer felt bad about being different because he had stripes. He had discovered that sometimes in our differences, we are all the same! To get started on the activity, give each child a printout then ask them to listen to your questions and color in their zebras according to your questions. For example you might say "Do you have any pets? If you have a dog color the zebra'stummy red, if you have a cat color it blue, if you have both color the zebra's tummy purple." You can ask about siblings,likes and dislikes, etc. It is best to keep questions simple with younger children. When they are finished ask the children to look at one anothers zebras to see if they spot similarities and differences between them? Have each player think of a Jungle animal. Each child will then take turns answering 10 questions from the group about the animal he or she chose. Get each to whisper to you what the animal is before the questions begin. Questions can be something like, "Do you run fast?" Or, "Do you swing from a tree?" For young children, you may want to ask the questions and let the group guess. As we know, an elephant never forgets...but do your party guests? Have each child state his or her name and favorite jungle animal. For older children, you can have them briefly tell why they like that animal. One child will put on the "elephant mask or hat" and start the game, then the next child will state his or her name, animal and (if applicable) reason they like that animal and then will try to remember the same about the player before him or her. The next will be trying to remember the two prior player's information along with giving his or her own and so on. The player who started the game will also end it so he or she will have lots of remembering to do! Put on some fun jungle jams, songs about the jungle or jungle animals such as "Bungle in the Jungle", "Hey, Hey, We're the Monkeys", "The Lion Sleeps Tonight", etc. You can download from Amazon. Pass out Jungle Animal masks, one to each child. Ask the children to dance to the music, imitating the animal their mask represents. The children can vote on the best Jungle Animal dancer! Think up some questions about the jungle and jungle animals and let the children try to guess the answers. For younger children you can ask something like, "What animal eats bananas and swings from trees?" For older children, you might ask them to name a movie about a jungle animal. For an added twist with older children, you can have them take turns asking a Jungle Theme Party question. This activity is best for older children and is a blast to play. Have the group sit in a circle. You, or another adult, will start it off. If your name is Barbara, you could use this example. If not, substitute the words in bold to something similar that starts with the first letter of your first name. "My name is Barbara and I am going on a safari and I am going to take my binoculars." Go around the circle and let each child repeat what you said, but making up what they are going to take. You will then tell them if they can go or not. If what they are taking starts with the first letter of their first name, they can go. Those who do not get to go do not play but those who do continue the game. When it is your turn again, you might say, "My name is Barbara and I am going on a safari and I am going to take my binoculars and my Bible." It is fun to see who catches on plus everyone gets to know each other's names! Have each child shut his or her eyes and pick a Jungle animal mask. Each child will put on the mask and act like that animal while forming a line and "parading" around the party area. For older children you can have obstacles along the way like a chair they all must cross over or a box they must go through. 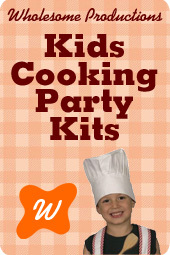 This is really good for a party with younger children who may be a little shy at first. Put a Jungle animal hand puppet or two on your hands and talk to each child. Then go around the group and introduce each child to the others. Add some jokes if you want. My favorite puppet joke is done with two different animals, like a monkey and a tiger. Monkey: "What did the little Lion say to the big Lion?" Tiger: "I don't know, what?" Monkey: "Nothing silly, Lions can't talk!" Your guests will have more fun than a barrell of monkeys with these fun Jungle Theme Party games. With Kim being having a physical education degree and lots of experience at youth camps and such, she has quite a background when it comes to games so we have divided our Games section into three parts. One is for older children, one for the younger ones and one is suitable for all ages. Inflate Jungle animal print balloons and have the players try to keep them up in the air. You can also divide the group in half and let the two teams compete for the longest air time. The two teams can even pick a name like the "Trusty Tigers" or "Balloon Baboons". This is a grrrreat outside adventure game but of course can be played indoors as well. Before the game, hide Jungle Theme Party toys. Give each child a set of toy binoculars and a pail and let them hunt prizes. Before the party, take a clean, empty milk or water jug and cut it fro the neck up, just above the handle. Then paint the jug grey or light blue. Download and print out a picture of an elephant and glue on the jug. Give each child five unshelled peanuts and let them take turns feeding the elephant. Have players form a circle. Give one player a rubber ball. That player will call out a Jungle animal name. He or she then bounces the ball to another player in the circle, who must catch the ball, state another Jungle animal name and keep the ball moving to the next player. If the player can't name an item, holds the ball too long, or repeats an item, he or she is out. Divide the group into two teams. Give each group a list of Jungle related items they must find. You might include a banana, a peanut, a tree branch, a book about jungle animals, etc. do be sure all the items are somewhere in the area the children will be hunting. The group who finds all of the items on their list first wins. This fun game is always a hit for children of all ages. Hang a Jungle Theme Party pinata and let the children take turns trying to bust out all the goodies. I like to give the children a sack to put their candy and toys in. You can blindfold and spin older children to add more fun and when the party has both older and younger children, you might consider letting the younger ones go first. Here are some of our favorite Jungle Theme Party pinatas. Click on to view your favorites! I might add that the pull string versions are great for parties with younger children. Give each child a sock to put on his or her hand. This will be their elephant truck. Divide the group onto two groups and give each team a peanut. The first team to pass the peanut (using their trunks) to all the team members and back to the first player wins. Print out a picture of a tiger minus the tail. Decorate it up a bit and glue it to a poster board and tack it to the wall. Cut tails out of gold construction paper, one for each player. Add black stripes with a marker or paint pen. You can also use tiger print paper if you would rather. (You can use the exta paper for invitations and thank you notes as well as scrapbooking in your memorty book!) Write each child's name on the back of his or her tail. Place two way tape on the top of each tail. Line the children up and let them take turns being blind folded and spun around then tying to place the tail on the tiger. The one who comes the closet wins. Divide the group into two equal teams. I like to have the kids number off, "One, two, one, two,..." so that those who tend to be next to each other are separated and they can get acquainted with other children too. Have the children line up, so there will be two lines, one for each team. Give them a Jungle animal tail to hold between each of the players. You will need one less than the number of players in the group because the last player will not need one. Have the two groups race to "the jungle" We used two inflatable palm trees, one for each group to race to. They will race to the jungle and back, holding tails. If one player drops a tail, that team must start over! Who wants to be the king of the mountain when you can be king of the whole jungle? This game is played like King of the Mountain but with a twist and most importantly, does not allow pushing or shoving like the classic game does. Let the children draw straws to see will start the game being the King of the Jungle. Have the Lion wear a Lion headband or a lion hat and will stand on a hill or on any raised surface like a folded towel. The other players will be blindfolded and will try to make their way to the King of the Jungle who will be roaring. The children will try to follow the roar and touch the Lion, thus becoming the King of the Jungle and the game starts over. Here's a game that will have the children going wild! Purchase one inflatable zoo hammerfor each player and a set of balls. Have each child take a turn trying to knock a ball to the finish line. Each child gets to hit the ball and if it does not cross the finish line, they hit it again where it landed, much like the game of golf. RACING FOR PEANUTS Divide the group into two teams and let the teams compete. You will need two peanuts and a plastic spoon for each player and two buckets or bowls to be placed at the finish line. Designate a starting line and line the children up. Have the first player on each team put the spoon in his or her mouth with a peanut in it. On the count of three, the player will run or walk as fast as they can to deliver the peanut to the container without touching or dropping it. If the peanut falls out, the player must start over. The team that finishes first wins. peanut in it. Place a bowl or bucket at the finish line. This is one of the funnest games we played. The kids just loved it! Purchase a safari pull car for each player. Designate a starting point with bright colored electric or masking tape and a finish line can be made from crepe paper that is tied on either side to two chair legs or something similar. On the count of three the players pull back the cars and race to the finish line! Check out these spectacular Jungle Animal Template games from Amazon. Entertain your safari guests with fun things to do! Face painting is a favorite activity at our parties. Purchase face paints that are specially made for the face and let your artistic abilities shine. There are books and instructions to help you out if you need some lessons or suggestions but as long as the kids have paint on their faces, they are happy! Warpaint stripes are always an easy way out that the kids will love. Put on a puppet show! Set up a puppet stage, put on some puppets and let the show begin. You can adlib or get ideas from a book about Jungle Animals. Throw in some jokes or even a moral and the little ones will think you are a pro! Jungle animals are crafty creatures and chances are your little guests will be too when you bring out the fun arts and crafts we have hunted down for you. Let the children unleash their wild side making Jungle animal masks. This set is from Birthday in a Box and comes in sets of 12. Elephants, monkeys, toucans and tigers are the animals featured. Crayons are not included so set out some containers of crayons, waterpaints, markers and glitter paint pens. Have a little "show and tell" time afterwards if you want so the kids can tail about their animal artwork. Be sure to let each child take his or her mask home as a token of the safari adventure. This Play Doh Animal Activities Bucketis a great craft for all ages. Simply prepare an area and set out the all inclusive activity set. The children will be rolling in the dough in no time! Bring out the animal in your birthday boy or girl and his or her guests. Kids have more fun than a barrel of monkeys when they dress the part. Let the roars begin with a furry lion costume. Or, let him go bananas over this monkey suit. We've scouted out some fun duds for you too! And don't forget the family pooch! Here are some wild accessories to go along with your costume de-tail! Save bucks with all that junk in the trunk! Pull out old costumes and misc. items from the attic and let the children get creative. You can always purchase one item to complete the ensemble. Costumes can also double for next year's Halloween costumes. If your child is not into that, consider donating the costume to a needy child. If you run low on ideas where costumes are concerned, just ask your little one for suggestions and you might just be amazed at what he or she comes up with! For instance a rainforest party theme would be great as well. Send the kids home with plenty of momentos from the grrrreat expedition. Jungle Theme Party favors are an awesome way to thank the guests for coming and to remind them of the fun they had. The first thing you will want to do is to decide what container you will use to put the goodies in. Jungle animal theme buckets and sacks are fun and festive. Or, you can opt for one of these fillable boxes. You can also add a creative touch by choosing to use something such as a safari hat turned upside down and filled with favors. Making your own is easy too. A zebra sack can by made by adding white stripes to black sacks or visa versa. Use slick or puff paints, construction paper to make the stripes. You can dress the sacks up with Jungle Theme Party stickers or print each child's name on his or her sack. Add animal print tissue inside and fill with favors. Now for the fun part, filling the container. We have tons of fun ideas from many suppliers. You can purchase them individually or as a set. You can even purchase sets that include the containers to put them in. Balls, theme cups, books, notepads,pencils and erasers...the possibilities are endless. I love adding personalized items such as these buttons, bookmarkers, zipper pulls and more. You can even order personalized coloring books! Jungle Theme Party candies are sweet surprises to include. Check these out! Designed 2B Sweet is a great source for Jungle Theme Party favor items and they are very reasonable. Purchasing pre-assembled sets saves you time and often times, money as well. Click on a set to find out more. NOTE: Be sure to check out ideas from some of our other sections like Mod Monkey to get even more Jungle Theme Party ideas!